Another Spring Turkey season is behind us and once again Mother Nature threw a curve ball our way to make conditions more difficult. Opening day of the Missouri season the temperatures were in the lower 20’s and the last week in Kansas the temps were in the mid-90’s. You can always count on wind and cool spring weather in the Midwest, but weather in mid-90’s is almost off the charts. 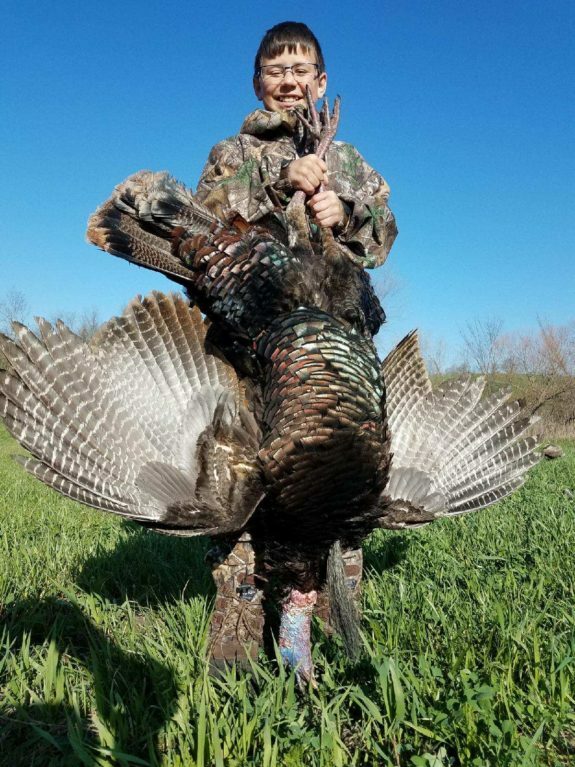 For the first time as long as we can remember, the Missouri firearms turkey season opened two days before Kansas. 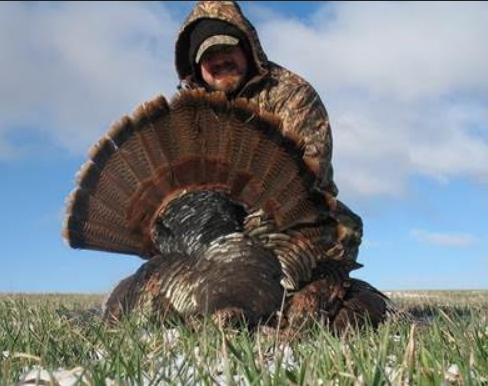 Kansas typically opened at least a week before the Missouri season. This made it difficult for those that wanted to hunt both states since there was overlap for the first time. We would like to thank everyone that responded to our email requesting harvest numbers to help calculate a total of birds harvested during the 2018 season. This feedback is also very important when it’s time to renew or drop leases. Also, thanks to all that sent us photos. Putting together and maintaining leases is a tremendous amount of work. Success photos and stories are most gratifying. Keep them coming. Be assured we do not reveal where anything was harvested, caught or seen! 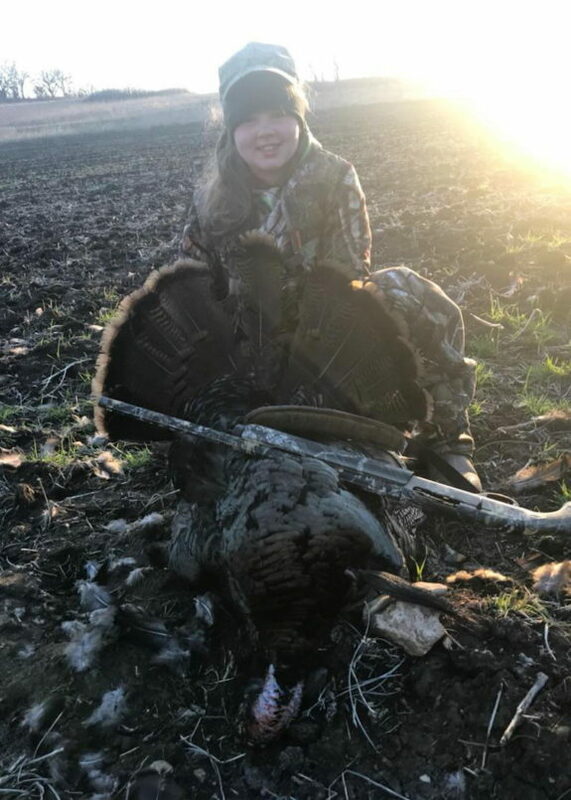 Our total number of hunters was down a little from the 2017 season, but the success ratio remained the same at an average of 1.4 tom per member. 225 members harvested 315 toms which is a lot of up close action. Members travelled from 28 states and once again Alaska was the furthest. Members from the state of Missouri were on top with 103, Kansas was number 2 with 24 and Arkansas was number 3 with 22. Once again, many of our spring turkey hunters are casual and use spring turkey season to scout land and become familiar with our system. This year the average member only hunted 3 days, but we definitely had a group of die hards that picked up the slack. 170 members hunted 1 state, 39 hunted 2 states and 8 hunted all 3 states. The most days hunted without success was 13 and the longest it took to fill one tag was 11 days. 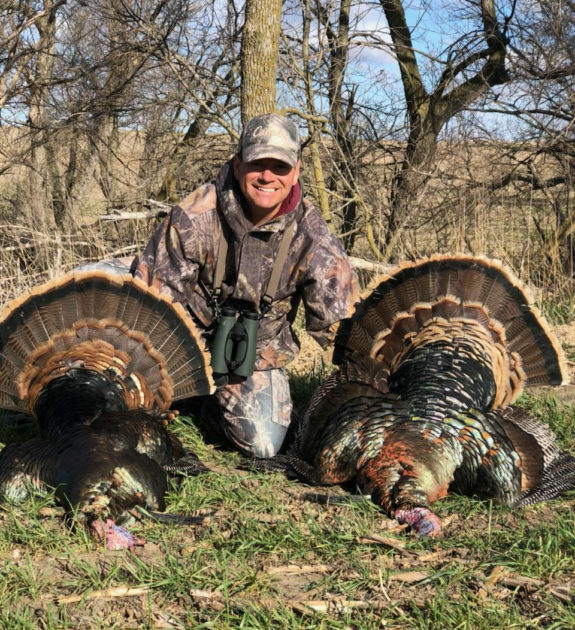 The most days hunted by one member was 23 and he harvested 3 toms but got caught in a tail spin up to the last day of the Kansas season trying to fill his last tag. The quickest a member filled 4 tags was 3 days and fastest a member filled 5 tags was 5 days. Out of the 8 members that hunted all 3 states 3 harvested 5 mature toms, 2 harvested 4, 2 harvested 3 and 1 harvested 2. Congrats guys that’s a lot of work and a lot of hunting. The heaviest bird was 27 pounds, the longest spur was 1 5/8”, the longest beard was 12” and the most beards was 4.
seasons. Enjoy the summer months Jon, Susie and Jon Jr.